Awesome transition and animation? Really? Of course, it’s true. 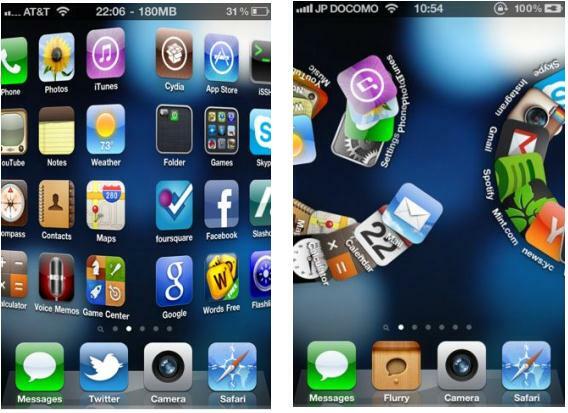 Barrel and Cylinder are the two jailbreak applications that allows you to add stunning animation and transition between pages on your iPhone’s Home screen. It means, you don’t get to see the boring traditional page switching, but an eye popping transitions whenever you swipe between the pages. Barrel app comes with transitions such as Fade-in, Fade-out, page slide up, page slide down, random, cube, curl and roll away, curl and roll away alternate, vertical scrolling, radical-looking snake etc…Well, if you are not sure which transition to choose, then random is the right choice for you – which keeps transition changing for every page swipe. Another interesting feature of Barrel is, whenever you change the transition setting, you need not respring the device. The tweak is available in Cydia’s BigBoss repo for $2.99. Did I tell you Barrel now supports iOS 7? 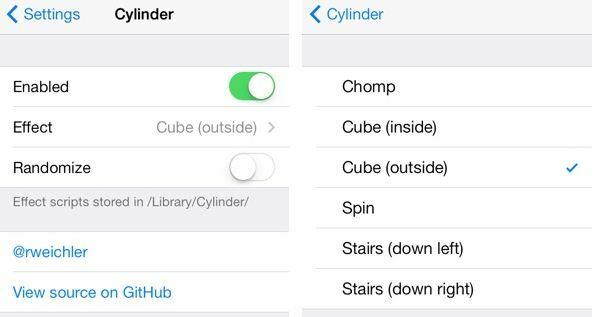 Cylinder is a Cydia app that functions similar to Barrel. Well, it doesn’t have all the animations available in Barrel, but it is one of the app that closely matches with Barrel. Cylinder has an interesting feature that stand out from Barrel, it is the ability to add custom animation effects by the users. For example, it all takes few lines of code to add animation to Cylinder. To do that, you only need a simple text editor and few lines to code in lua. Once you are done with the script, upload and choose the transition name via app’s preference panel. Like Barrel, Cylinder doesn’t require respring. Cylinder is free and it’s available in http://r333d.com/repo.